As you know from our last post, we had an entirely gluten free wedding (with the exception of a few beers) so naturally, we wanted our candy bar to be gluten free too. At first, it was something we almost deemed impossible - but thanks to Big Lolly. Sweetcheeks Cookies and Cakes, Unique Vintage Events and Timbermill, we were able to pull it off and it looked incredible. 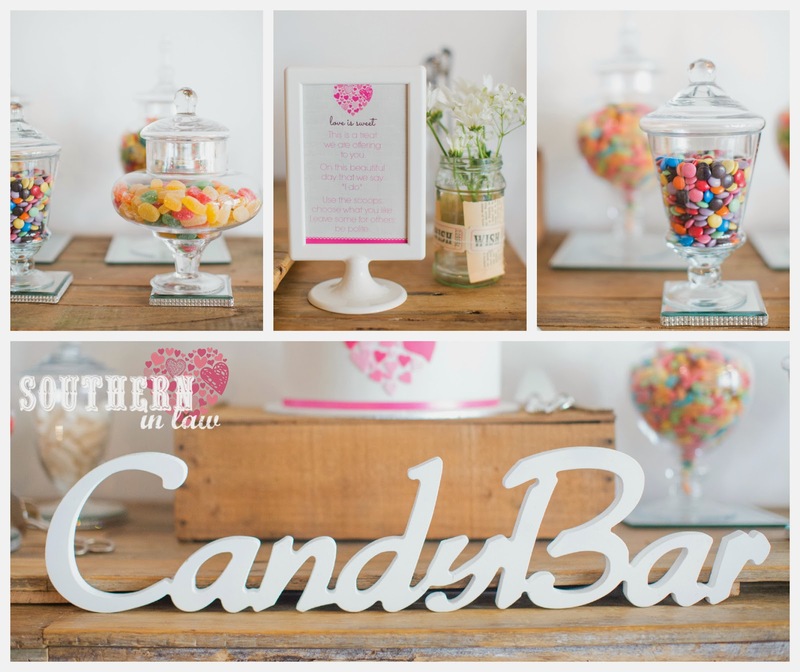 Our Candy Bar was absolutely gorgeous and we wanted to style it up to match with our rustic vintage theme and everyone loved it. 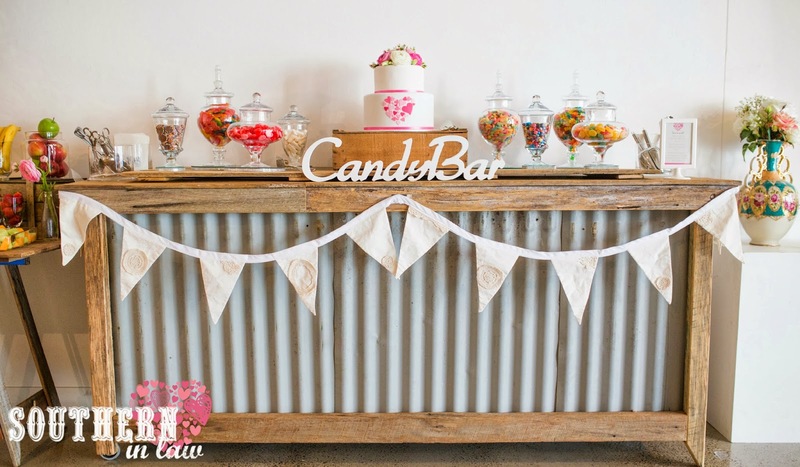 As soon as I saw Timbermill's Rustic Country Kitchen Bar, I knew it would be perfect for our candy bar. Jesse wasn't so on board as he thought it was a little too rustic, but I knew with the pretty candy jars and some bunting it would look incredible. We also used Timbermill's Wooden Trestle Tables for our food tables so it all tied together perfectly. 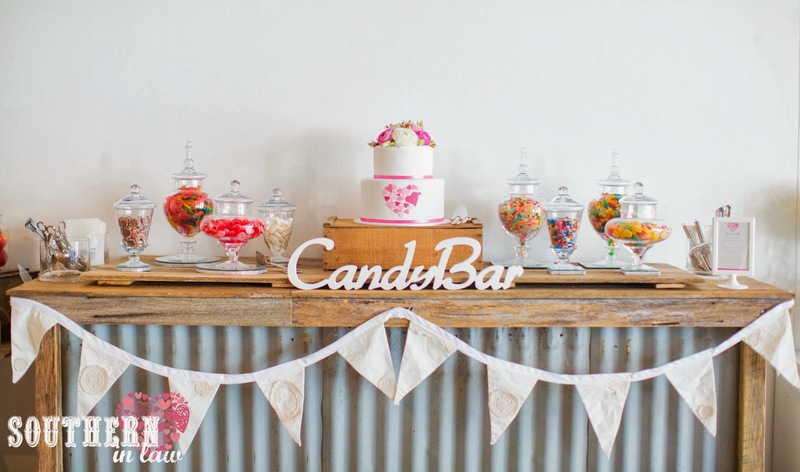 The beautiful Candy Jars, Candybar Sign, Mirror Plates, Bunting, Tongs/Utensils and Candy Bar Sign came from Unique Vintage Events and Deb has the most incredible showroom ever. Seriously - she has everything you need and more! 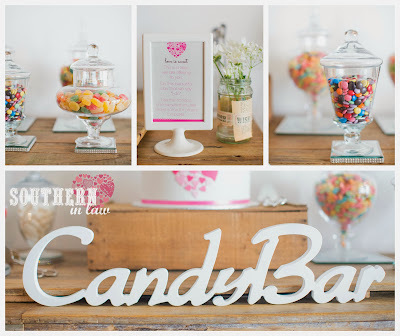 For our candy bar, I made up a sweet little sign, held in an Ikea Tolsby Frame ($1.99 per frame!). All I did was design a 5x6" sign and have it printed at Kmart on photo paper (for 9 cents per print) and then slipped it into the frame. 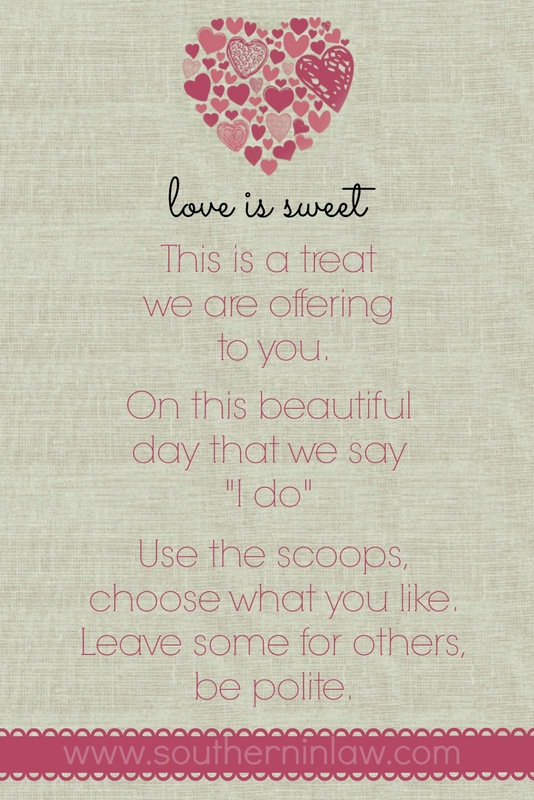 that we say "I do". 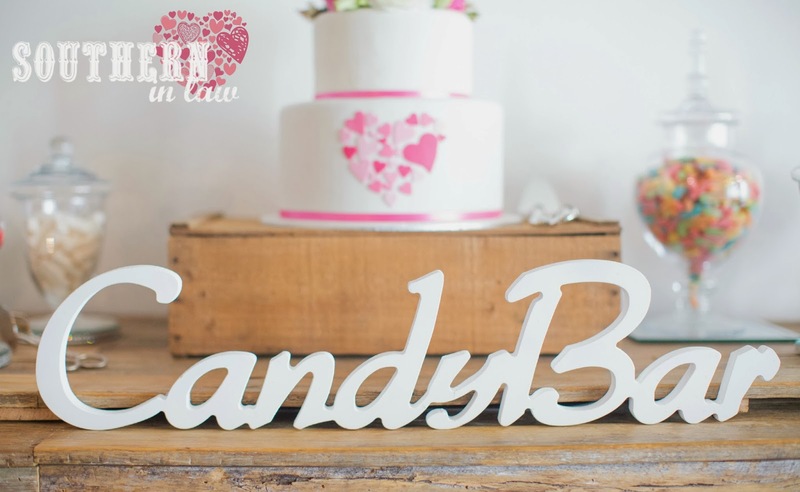 As you might be able to tell - our Candy Buffet sign, as well as all of our other signs, were designed by me to match in with our theme. 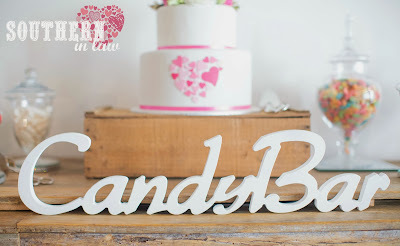 Our Invitations, RSVP Cards, Cake, Photobooth Strips and Cake all had our heart logo which I designed. It's made up of tiny little hearts in one big heart. I design things for clients all day long in my business - so naturally, I wanted to put my design skills to the test and come up with a "wedding logo". It was a very complicated process. As much of a perfectionist as I am, I'm worse when doing something for myself - but in the end, the heart came together perfectly and I LOVED it. 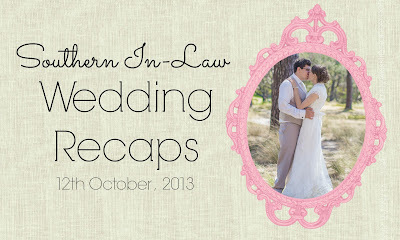 I DIYed most things for our wedding (the signs, the designs, the menu, the canvas etc) and even though it added a little bit of stress and extra things on my to-do list, I wouldn't have done it any other way. But onto the important part - the candy!! If you're a gluten free-er you'll know how impossible and expensive it can be to find gluten free candy. But don't worry, I've found a solution. Gluten freebies, meet Big Lolly. Big Lolly have an incredible gluten free candy selection - and it's all really reasonably priced! For our Candy Bar, instead of choosing a colour theme, we wanted to have lots of colour and variety as I've heard way too many complain about boring coloured candy buffets where the candy tasted awful despite looking really good (seriously, white candy buffets kind of limit you to peppermint and coconut candies). 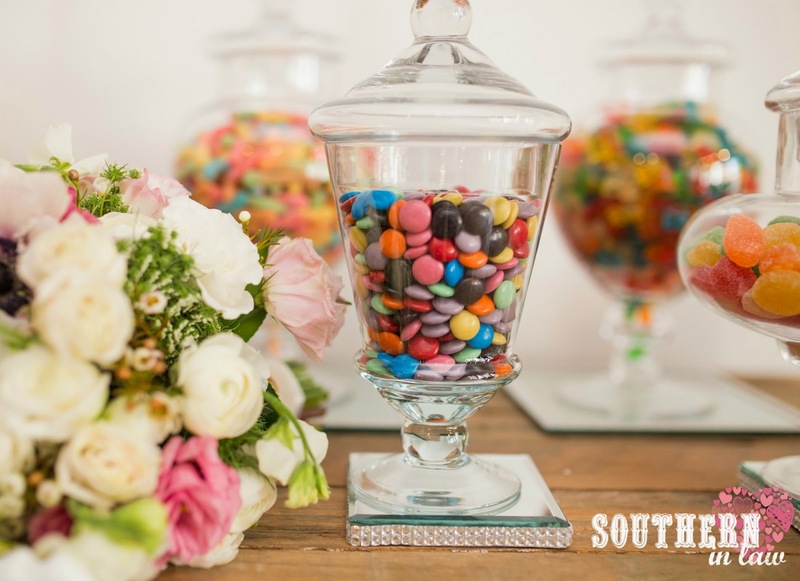 We went for a selection of different candies so everyone could find something they like - and so you know the quantities if you're planning to have a candy buffet at your own event, I'll list them too! We had just over 90 guests at our reception and there was lots and lots of leftover candy. We purchased little vintage stamped paper bags from an eBay store for our guests to put their candy into. But tell me, candy bars - yay or nay? 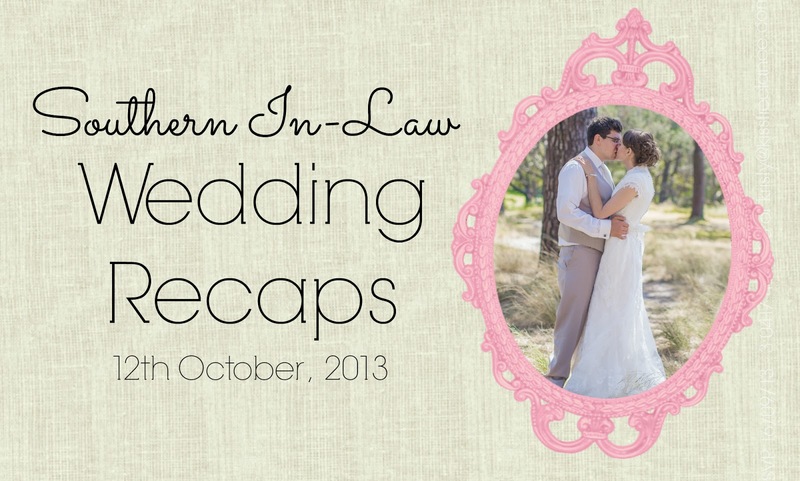 Graphic Design/Printables and Logo Design: Yours truly! If you're interested in having anything designed for yourself, just email me! You can definitely tell that you work in design! It looks fantastic! 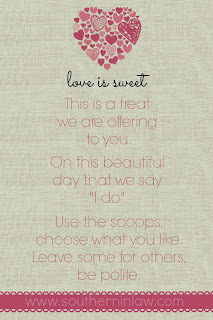 :D What a sweet idea (pun intended ;) ). That's great that you had a gluten free wedding. I heard that M&M's are gluten free. I'm trying to be gluten free, but it's been hard. I've been really bad the past week. For me, it's either gluten free or incredibly incredibly ill, but I'm so lucky Jesse wanted to have a gluten free wedding so that I didn't have to feel left out like I usually do.